Hello dear reader, Google have decided to brag a little bit about the success of its Home speakers today with a blog post claiming it sold “more than one ... every second since Google Home Mini started shipping in October.” That means, from October 19th through the end of yesterday, Google sold at least 6.73 million speakers.Google sold over 6 million Home speakers since mid-October till date. What Google doesn’t say is how those sales were split between the Home, the Home Mini, and the Home Max. It seems fairly safe to guess that the Home Mini was by far the most popular, since it was on sale for $29 for most of the holiday season. The Home Max only launched in mid-December — it’s also $399 — so it likely makes up an incredibly small portion of those millions of sales. The other outstanding question is whether this is actually making Google any money. 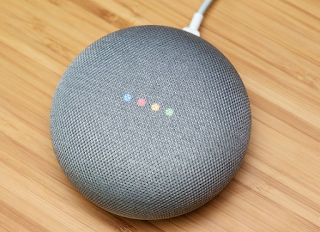 Google is thought to be losing money on every unit of the Home Mini; Reuters reported on one analysis that pegged the device’s parts alone at $26, not including the cost of developing the entire thing, supporting it, advertising it, shipping it, and so on. Of course, Google is in this for the long game — the Assistant is an attempt to make sure Google remains the way people get information, and Google has plenty of options to make money through ads or the data it collects in the future. It isn’t alone in that situation either. Amazon is also believed to be losing money on the Echo Dot, which was similarly cut to $29 during the holiday season. Amazon never gives out specific sales figures, but it did say that “tens of millions” of its own Alexa-enabled devices were sold over the holidays, with the Echo Dot being one of the top sellers. Like Google, Amazon certainly expects to make up for the lost money later by blanketing people’s homes with devices that connect to its store. Evidently, the strategy is working. These super cheap prices are getting people to buy smart speakers and commit to an ecosystem. These companies are clearly happy to spend a few dollars gaining customers in the short term so that they have an enormous audience available to them down the road. Google also gave a vague look at its overall home device sales today. The company said that if you include all of its home products — like the Chromecast and Google WiFi — its sales figures reach into the “tens of millions” throughout all of 2017. That’s not at all a specific or helpful figure, but it’s at least a clear sign that Google’s hardware is reaching people.